November 20, 2018 Aguilas Cibaenas placed RHP Samuel Deduno on the reserve list. February 1, 2018 RHP Samuel Deduno assigned to Dominican Republic. October 20, 2016 RHP Samuel Deduno assigned to Aguilas Cibaenas. August 9, 2016 Norfolk Tides released RHP Samuel Deduno. July 8, 2016 Norfolk Tides sent RHP Samuel Deduno on a rehab assignment to GCL Orioles. February 29, 2016 RHP Samuel Deduno assigned to Norfolk Tides. February 19, 2016 Baltimore Orioles signed free agent RHP Samuel Deduno to a minor league contract. November 12, 2015 RHP Samuel Deduno elected free agency. November 10, 2015 Houston Astros sent RHP Samuel Deduno outright to Fresno Grizzlies. 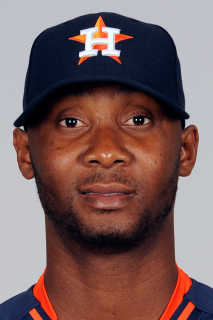 November 5, 2015 Houston Astros activated RHP Samuel Deduno from the 60-day disabled list. May 29, 2015 Houston Astros sent RHP Samuel Deduno on a rehab assignment to Fresno Grizzlies. 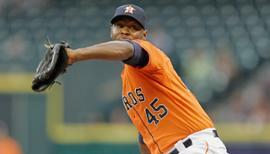 September 2, 2014 Houston Astros activated RHP Samuel Deduno. 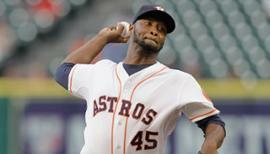 August 30, 2014 Houston Astros claimed RHP Samuel Deduno off waivers from Minnesota Twins. November 1, 2013 Minnesota Twins activated RHP Samuel Deduno from the 60-day disabled list. September 9, 2013 Minnesota Twins transferred RHP Samuel Deduno from the 15-day disabled list to the 60-day disabled list. Right shoulder injury. August 30, 2013 Minnesota Twins placed RHP Samuel Deduno on the 15-day disabled list. Right shoulder soreness. May 24, 2013 Minnesota Twins selected the contract of RHP Samuel Deduno from Rochester Red Wings. May 18, 2013 Samuel Deduno roster status changed by Rochester Red Wings. April 2, 2013 Rochester Red Wings placed RHP Samuel Deduno on the 7-day disabled list. November 21, 2012 RHP Samuel Deduno assigned to Aguilas Cibaenas. November 20, 2012 Minnesota Twins signed free agent RHP Samuel Deduno to a minor league contract and invited him to spring training. November 2, 2012 Minnesota Twins sent Samuel Deduno outright to Rochester Red Wings. July 6, 2012 Minnesota Twins selected the contract of Samuel Deduno from Rochester Red Wings. June 9, 2012 Samuel Deduno roster status changed by Rochester Red Wings. May 1, 2012 Rochester Red Wings placed RHP Samuel Deduno on the 7-day disabled list. April 4, 2012 RHP Samuel Deduno assigned to Rochester Red Wings. November 18, 2011 Minnesota Twins signed free agent RHP Samuel Deduno to a minor league contract and invited him to spring training. November 2, 2011 RHP Samuel Deduno elected free agency. July 8, 2011 Tucson Padres activated RHP Samuel Deduno from the 7-day disabled list. June 20, 2011 Tucson Padres placed RHP Samuel Deduno on the 7-day disabled list. Left quadriceps strain. May 26, 2011 San Diego Padres sent Samuel Deduno outright to Tucson Padres. May 23, 2011 San Diego Padres designated Samuel Deduno for assignment. May 23, 2011 Tucson Padres designated Samuel Deduno for assignment. April 10, 2011 San Diego Padres optioned RHP Samuel Deduno to Tucson Padres. March 29, 2011 Samuel Deduno roster status changed by San Diego Padres. 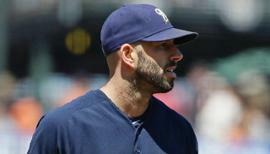 January 28, 2011 San Diego Padres claimed Samuel Deduno off waivers from Colorado Rockies. January 24, 2011 Colorado Rockies designated Samuel Deduno for assignment. August 27, 2010 Colorado Rockies recalled RHP Samuel Deduno from Colorado Springs Sky Sox. August 16, 2010 Samuel Deduno assigned to Colorado Springs Sky Sox from Tri-City Dust Devils. July 23, 2010 Samuel Deduno assigned to Tri-City Dust Devils from Colorado Springs Sky Sox. April 29, 2010 Samuel Deduno roster status changed by Colorado Springs Sky Sox. March 23, 2010 Colorado Rockies optioned RHP Samuel Deduno to Colorado Rockies. October 21, 2009 RHP Samuel Deduno assigned to Aguilas Cibaenas. October 19, 2009 Samuel Deduno roster status changed by Colorado Rockies. September 7, 2009 Samuel Deduno assigned to Colorado Springs Sky Sox from Tulsa Drillers. June 29, 2009 Samuel Deduno roster status changed by Tulsa Drillers. June 10, 2009 Tulsa Drillers placed RHP Samuel Deduno on the 7-day disabled list. Hip flexor.